This morning Owen, Oliver and I completed a 5 kilometer run with the school’s Boys On The Move program. My wife Nadia for years has done the Girls on the Move, which is similar to Girls on the Run, with her elementary girls. One of the elementary male teachers did Boys on the Move this year so Owen was able to participate. 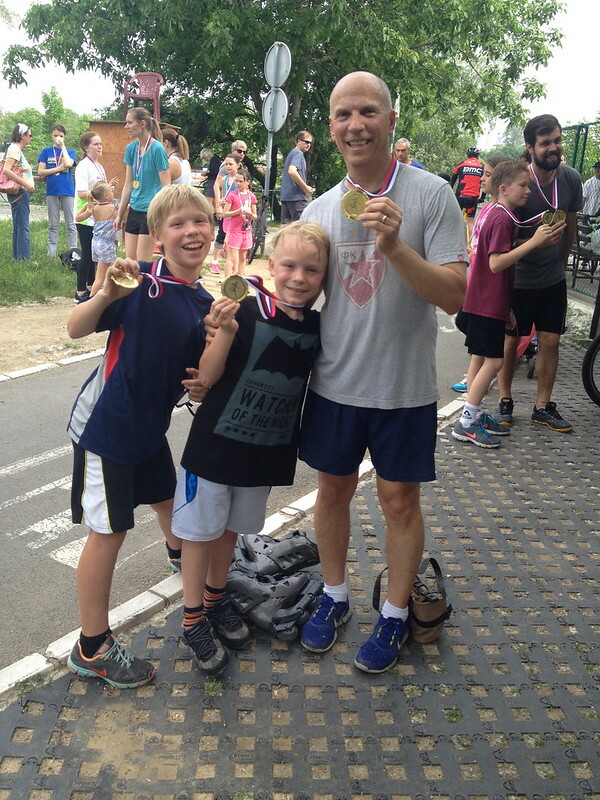 We ran the approximately 5 kilometer course in 25:00 minutes, which was the second fastest of the group. Oliver also got in the action and ran was well, finishing the course with our school’s Athletic Director, Damian Hart and his daughter Abigail. Nadia was busy with her running buddy and organizing the whole event so I didn’t get a picture with her. 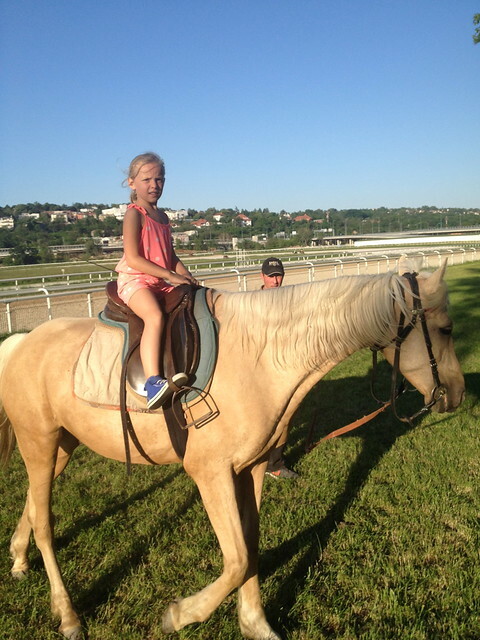 I didn’t want to have Ocean miss out on this blog post, so she is shown below riding a horse at the Belgrade Hipodrom. She has expressed an interest to ride horses to I took her down to the race track. It is a really nice setting near our house and is the oldest sports venue in the city. They hold harness racing, or the trots as they say in Australia, on summer Sunday afternoons.